Four high-intensity RGB LEDs mounted on a square module measuring 1.4" x 1.4" x 0.2" tall (36mm x 36mm wide x 5mm tall). Modules are separated by 3.1” (80mm) of connection wire in strings of up to 20 modules long. 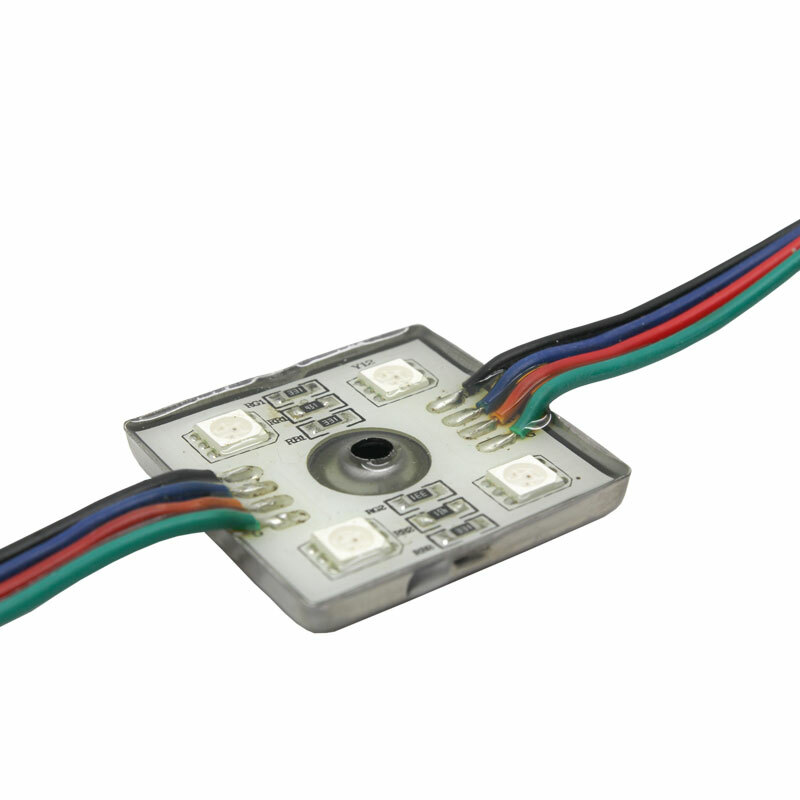 Modules have an adhesive backing along with a single 0.16" (4mm) mounting hole allowing for convenient mounting options. LED output color Red at an intensity of 3,800mcd, Green at an intensity of 6,200mcd and Blue at an intensity of 4,000mcd all with a viewing angle of 120 degrees. 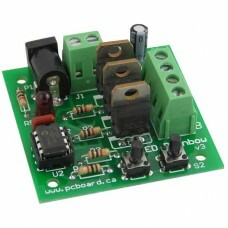 Power input is 12v-15v DC at a working current of 44mA (at 12v) per color on each module. 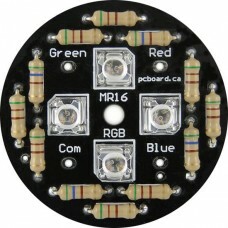 Makes a great companion to our LED Rainbow kit or fully assembled board. 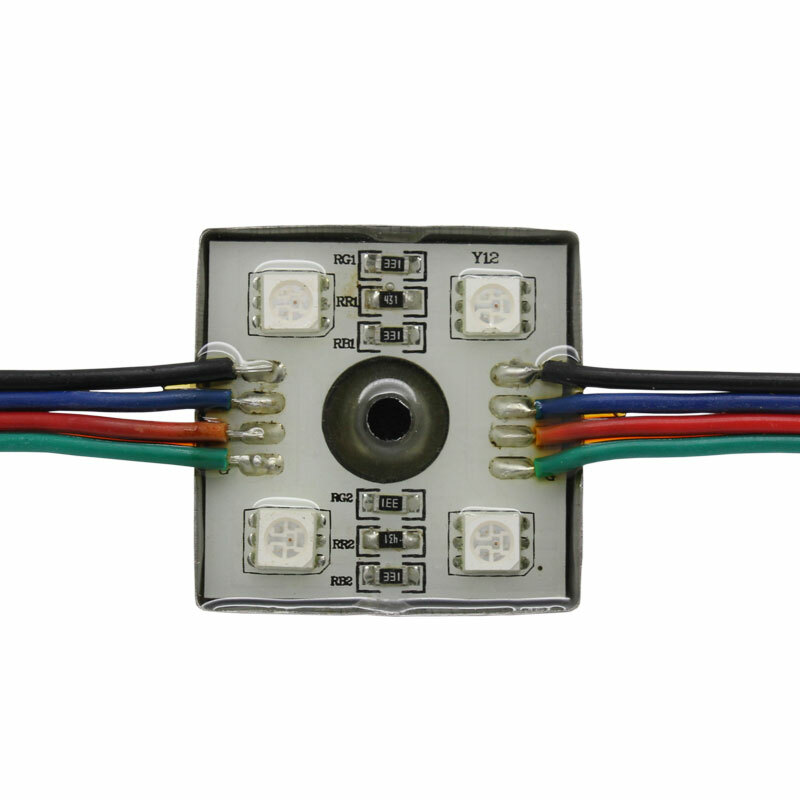 RGB Quad LED Modules are available individually or in multiple module string sizes. 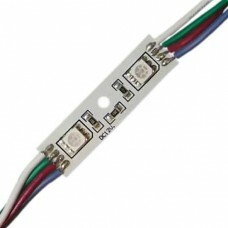 RGB Dual LED Module Each Module Has Two RGB LEDs Two high-intensity RGB LEDs mounted on a modu..